As WikiLeaks founder Julian Assange marks his 777th day in the Ecuadorian embassy in London, the Metropolitan Police has spent over $11.8 million on guarding the embassy. Assange has been detained without charge for 1,337 days – and 777 of those days have been spent in the Ecuadorian embassy in London, according to the latest WikiLeaks statement. Meanwhile, the price tag for guarding Assange hit over seven million British pounds (US$11.8 million) early on Wednesday, according to govwaste.co.uk counter. Officers have been staking out the embassy around the clock since June 2012, with the cost to the London taxpayers surpassing $15,000 per day. At any time of the day or night, there are three officers stationed outside the embassy, ready to arrest Assange if he tries to leave. The bill is likely to keep climbing; Ecuadorian authorities have said Assange is welcome to stay in the embassy for as long as required. 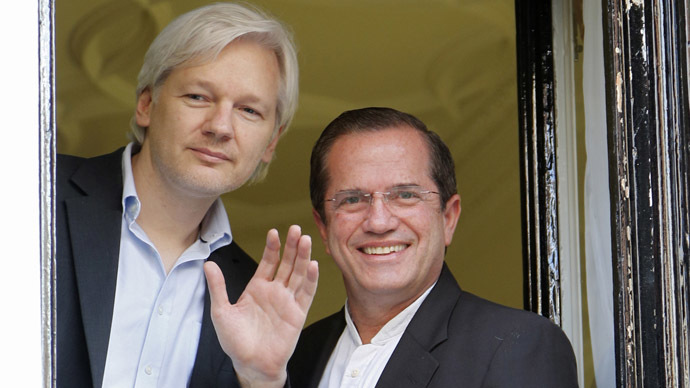 The UK has refused to provide Assange safe passage to Ecuador ever since the Australian sought refuge inside the embassy. 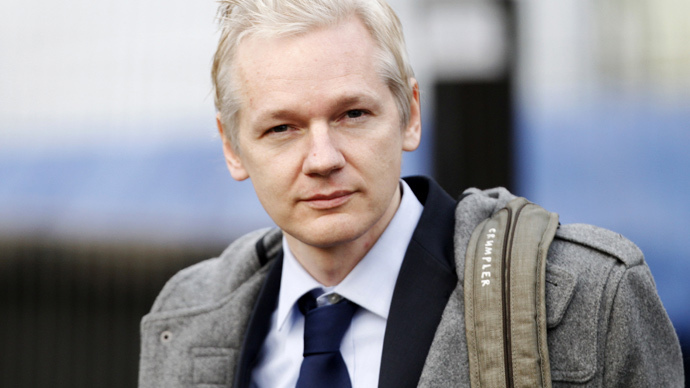 Many have criticized the cost of the UK’s obsession with guarding Assange, including London Mayor Boris Johnson. “It’s absolutely ridiculous, that money should be spent on frontline policing. It’s completely wasted,”the mayor said. The 42-year-old WikiLeaks founder is wanted for questioning in Sweden for allegedly sexually assaulting two women in Stockholm in 2010. 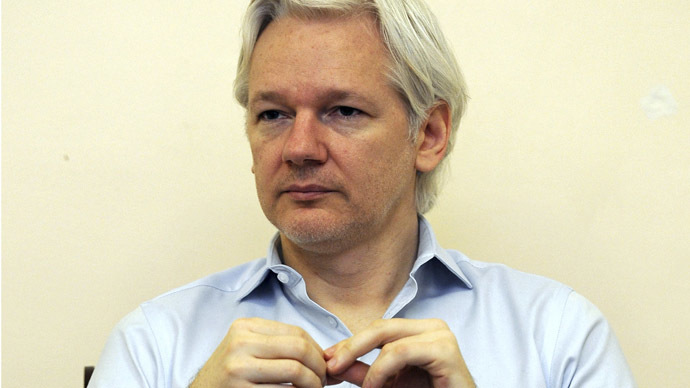 Assange denies the charges but will not travel to Sweden to be questioned because he says the charges are politically motivated for his work with WikiLeaks and he will be extradited to the US. 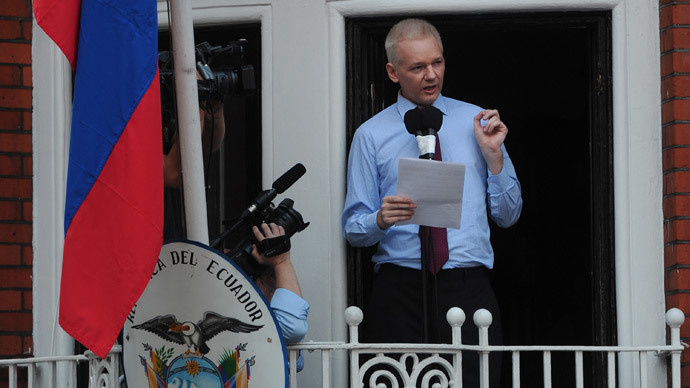 WikiLeaks enraged Washington by publishing thousands of leaked diplomatic cables in 2010. A Swedish court upheld an arrest warrant for Assange in July, following a legal challenge from his lawyers in June. The challenge was spurred by a change to the right to information in criminal procedures, which is in line with an EU directive. Swedish Judge Lena Egelin was quick to dismiss the legal challenge to Assange’s arrest warrant, but noted that the decision could still be appealed. Assange’s defense team had argued that the European arrest warrant should be lifted on the grounds that the prosecution had failed to act in a timely manner by not interviewing their client at the embassy. They also said that detaining a suspect for the duration of the investigation was an excessive use of force that was not in the public interest. Some of the latest WikiLeaks releases have been cables about Israel and Gaza, including leaks on the bombing of UN schools in Gaza, cables on 'Israel's NSA,' and over 8,300 documents on Gilad Shalit – an Israeli soldier captured by Hamas in 2006. Meanwhile, Assange is releasing a new book titled 'When Google Met WikiLeaks,' which will be published in September by OR Books. In the book, the WikiLeaks founder describes his vision of the future of the internet and recounts a meeting with Google chairman Eric Schmidt in 2011.